After the delights of Pieces of Hate, Deep Sea Fishing and Clue Scroll Overhaul, April has something of a breather before the big-hitting month of May, when you get the double-punch of Solak and an as-yet-unannounced quest! April’s updates are significant, however - changing up how you train. There’s the Return of Line Firemaking (we missed you! ), Safecracking, Rebuilding Edgeville, a toolbelt improvement and additions, Spring Fayre, a Tribal Trials task card, Combat Academy improvement and more. Let’s start with something iconic to RuneScape that has fizzled out in recent years: Line Firemaking. If you’re like me, you reminisce about long lines of flames, stretching across Varrock. Well, this month, we relight that fire! At level 70 Firemaking, you will gain the ability to light fires quicker, but the biggest change happens after Firemaker’s Curse. We’ve turned Char’s weekly minigame into a repeatable training method, with the chance of dropping a pitch can. This item speeds up bonfires, but – more importantly – it dramatically speeds up line firemaking, making the high-XP, high-intensity training method viable again. The pitch can is tradable, so we expect avid firemakers to make a tasty return if they get their hands on one. Let’s make a few skillers rich! It’s not only Firemaking that gets some love. 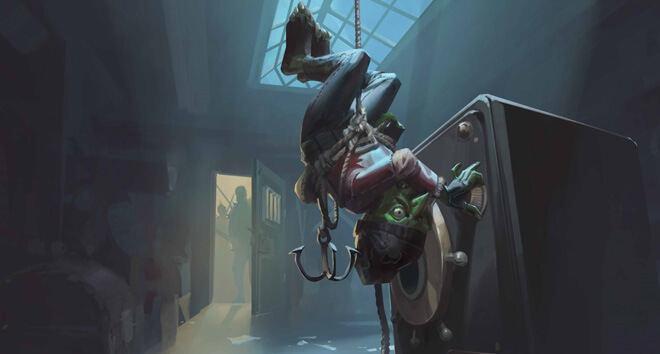 As announced at Runefest, Thieving gets a spot of Safecracking. It seems the Thieves’ Guild have upped their game, and are looking at bigger marks than level 1 men and women: they’re looking greedily at the Kings, Queens and bigwigs of RuneScape. Head to various castles or keeps around the world, and begin looting their safes to fill your lootbag. This is a new training method, unlocked after completing the Buyers and Cellars quest and related capers. From the safes you’ll get Thieving XP, cold hard cash and reward points. 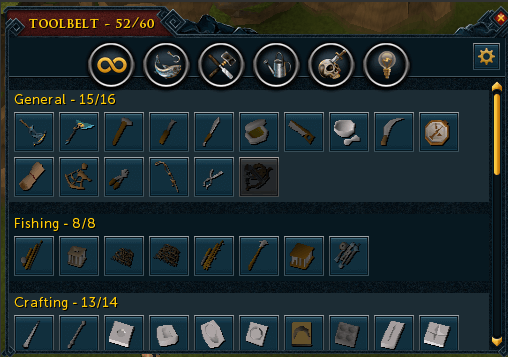 These points can be spent on gubbins like a reward that protects you from being stunned, and an item that allows thieving from elf clans that are suspicious of you. Safecracking is a simple, slightly AFK training method that is best described as elder trees for Thieving. This month, we tackle a very different kind of Unfinished Business: a town that has been left devastated for far too long. After Ritual of the Mahjarrat, Edgeville took a battering (spoilers! ), and this month we give you the opportunity to return it to a former glory. Talk to Mandrith in Edgeville and he will get you clearing rivers, fixing buildings and sweeping up the odd dead body. Get Farming, Construction, Magic, Prayer and Mining XP for your efforts, gain a dragonkin lamp, and unlock the chance of owning Effy, a floating ancient effigy pet, whenever you open dragonkin lamps and claim the final XP. Toolbelt Improvements, Combat Academy Improvements, Ninja Fixes, Surveys, Oh My! The Ninja and Growth teams have been on overdrive this month, producing improvements that have real impact. First, the toolbelt gets a makeover, bringing all of your unlocks onto a single, manageable screen, and making it easier for us to add items in the future. And lo, it comes with the new addition of a grappling hook. The Combat Academy has been brought bang up to date, and now teaches Revolution rather than the more advanced Manual combat mode. It should get more new players understanding the combat system, which can only be a good thing. We’re bringing you the next Ninja poll, with several potential fixes, alongside something we want to do regularly: a survey that lists all of the new update ideas on our backlog, so we can get your opinion on whether they are worth doing. This will be a little window into our creative world, and will also include ideas that have been inspired by you. I have a soft spot for the task card events, and April brings a cheeky ‘Tiki’ one in the form of Tribal Trials. Complete shamanistic challenges and unlock Howie, the rather wonderful tribal pet. And let’s not forget that Tribute to Guthix and the Spring Fayre continue to run through the month. If you’ve visited the Fayre, you’ll know that it has been rebalanced and no longer requires any entry tokens to enjoy its quite wonderful activities. Anyone for a spot of Hook-a-duck? All that remains is to keep an eye out for a surprise or two this month. April has a habit of making fools of us all. Have a wonderful month, fill the world with glorious fire lines, and we’ll see you next month for a spot of Solak. Goodbye! ...spamming more temporary events is just lame and adds to dailyscape, even though you said you'd look into reducing it. Bingo card promos are already overused, just let it rest, along with the crater events such as the horrendous Spring Fayre. Do something new, something interesting, rather than copy-pasting the same old trash with a different skin. One high quality temporary event every 2-4 months is better than several copy-pastes every month. Wonderful. Anytime you see a turtle up on top of a fence post, you know he had some help. Rather disappointed, Solak was said to be probably in March, now it is delayed until May. I understand you guys want to make sure that it is of high quality, but I expected it to be at least April, at least that's what you guys seemed to hint in the streams. My apologies if I offended someone in the Jagex team, but I'd rather just have dates where you guys are sure that it will be released instead of moving the date time after time. No Easter event this year? 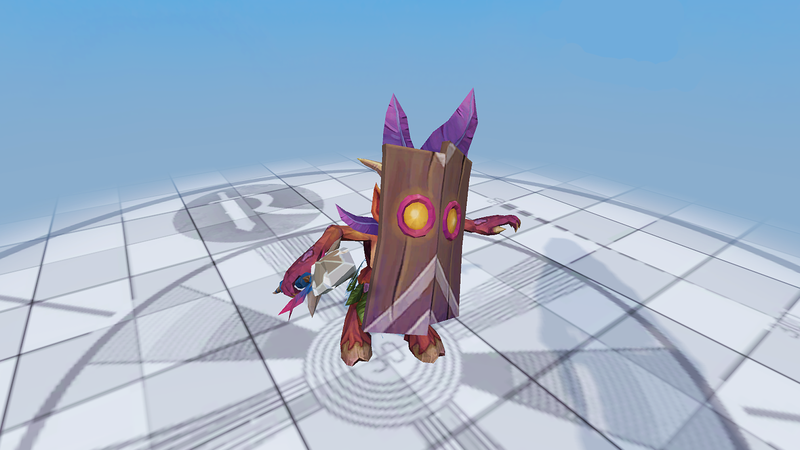 A CHANCE for effigy pet? Hopefully it's at least 50% or this could take hundreds of thousands of years. I know why Osborne has a soft spot for those card task events. Because that is the only way people play all his dead content. I am not real happy that you put such an awesome reward with it. And finally Edgeville gets repaired. But not before I had the misfortune of being there while the graphics loaded. WHY are all the smoke spots built up over creepy faces in the ground? Was there nothing else you could put there? I will be glad to have it all gone, that is for sure. Bit strange not too haha.